Inverter technology provides superior heating/cooling performance, raising expectations for energy efficiency, comfort, and environmental responsibility. Driven by a variable-speed compressor, the heating/cooling unit is no longer limited to all-on or all-off operation, but can adjust in small increments to meet exact demand. Rather than power up and down repeatedly, an air conditioner, heat pump, or ductless mini split, featuring inverter technology, reaches the perfect temperature more quickly, while avoiding unpleasant temperature fluctuations and requiring approximately 50% less power. Call today to learn more about inverter technology! 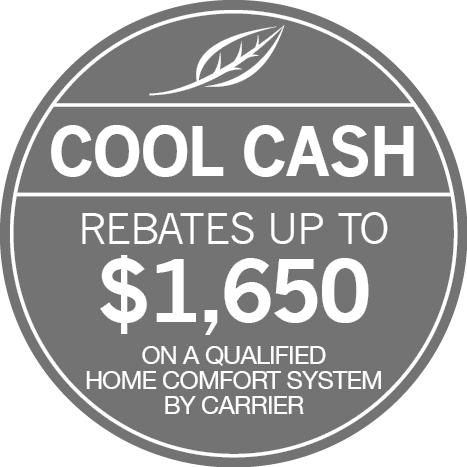 As a Carrier Factory Authorized Dealer, Steel T Heating & Air Conditioning offers a wide range of exceptional heating and cooling options, which take advantage of inverter technology to trim running costs and optimize comfort. We offer exceptional, year-round comfort, no matter how cold the weather in Denver Metro Region. Because of advances in technology, modern ductless systems and heat pumps actually achieve higher heating speeds at a lower temperature. Contact Steel T Heating & Air Conditioning at (303) 872-8849 for recommendations, installation, and a broad selection of unmatched heating/cooling solutions to meet any demand across Littleton, Lakewood, Centennial, Highlands Ranch & Englewood, CO.